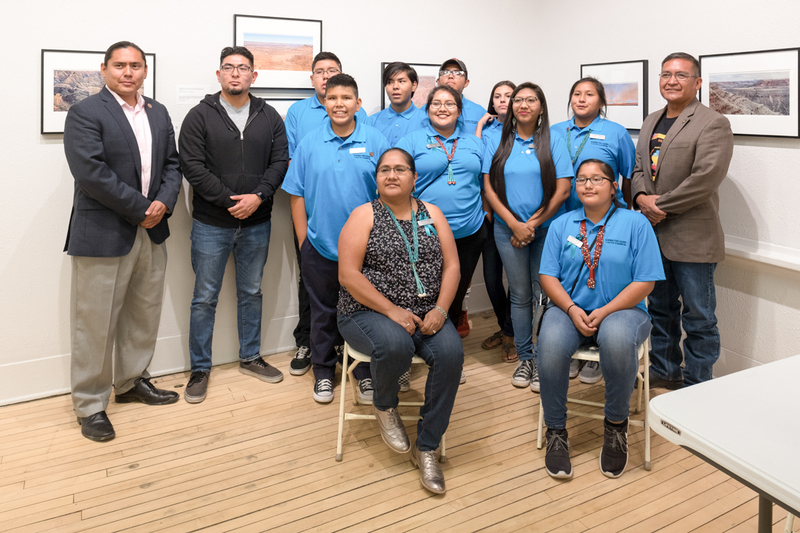 Photographer Stephen Strom and tribal leaders Eric ​Descheenie and Alfred Lomahquahu joined us at Gallery 4 in the Gilbert Museum for an informative conversation about the Bears Ears National Monument. Eric Descheenie and Alfred Lomahquahu played key roles in establishing the Bears Ears Inter-Tribal Coalition through a multi-year effort to have Bears Ears declared a national monument and ongoing efforts to protect the monument from rescission or contraction. Significantly, for the first time in history, Native Americans were given a powerful voice in managing a national monument. The proclamation calls for the establishment of a Bears Ears Commission, staffed by a representative of each of the tribes comprising the Bears Ears Inter-Tribal Coalition— the Hopi, Zuni, Navajo, Ute Mountain Ute and the Ute Tribe of the Uintah and Ouray. The proclamation’s assertion that Native peoples’ traditional ecological knowledge “is, itself, a resource to be protected and used in understanding and managing land” is a compelling acknowledgment of the role the Coalition will play in developing culturally and ecologically sensitive guidelines for land use. Stephen Strom began photographing in 1978, after studying the history of photography and silver and non-silver photography at the University of Arizona. His work has been exhibited widely throughout the US and is held in several permanent collections including the Center for Creative Photography and the Boston Museum of Fine Arts. 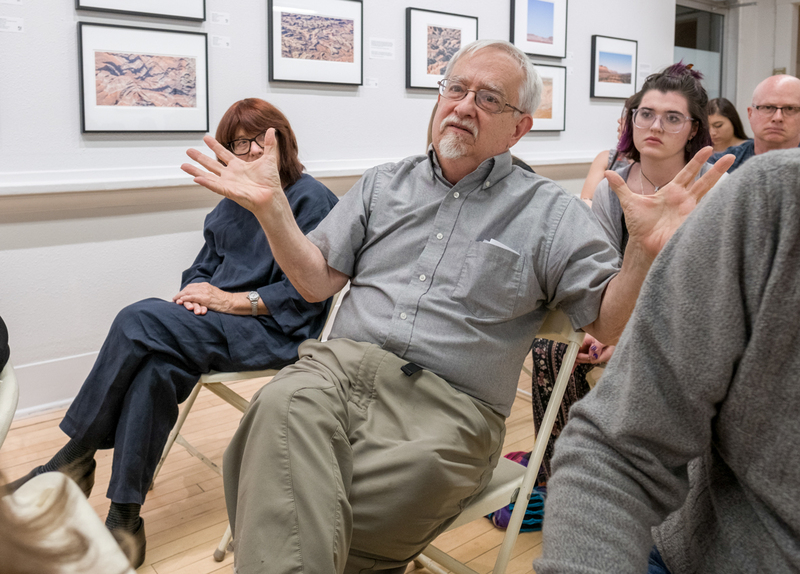 His photography complements poems and essays in three books published by the University of Arizona Press: Secrets from the Center of the World; Sonoita Plain; Tseyi; and Otero Mesa, University of New Mexico Press (2008). A monograph, Earth Forms, was published in 2009 by Dewi Lewis Publishing. His most recent books include Death Valley: Painted Light (2015) and Tidal Rhythms (2016), both published by George F. Thompson Publishing. Eric ​Descheenie ​graduated from Arizona State University and his professional career has included time with Arizona Governor Napolitano’s administration and in Navajo Nation legislative and executive offices. During this time, Eric served as Co-Chair of Bears Ears Inter-Tribal Coalition which achieved designation of the 1.35 million acres the Bears Ears National Monument in 2016. Presently, Eric serves in the Arizona House of Representatives, District 7. Eric is Diné (Navajo) from Chinle, Arizona. He is Ma’ii deeshgiizhinii (Coyote Pass People Clan), born for Kiyaa’aanii (Towering House Clan). His grandfathers are Bit’ahnii (Folded Arms People Clan) and his paternal grandfathers are Honághááhnii (One Who Walks Around Clan). His greatest joy in life is being the father to three beautiful sons. When not chasing them around, he enjoys long distance running, traditional knowledge study, and serving on community boards, including the Arizona Town Hall Board of Directors. ​Alfred Lomahquahu is the Vice Chairman of the Hopi tribe and co-Chair of the Bears Ears Inter-Tribal Coalition. Alfred spent his early years in Bacavi and Hotevilla and joined the Marines after graduating from Sherman Indian High School in Riverside, California in 1982. His first deployment was to Okinawa, Japan in 1983; from there, he trained with Marines from Thailand and Korea, building roads and supervising infrastructure projects in Africa, Lebanon, and Afghanistan. Within a few years following his return from his tours of duty, Lomahquahu took up Kachina carving and achieved both regional and national recognition for his work. After a nearly 30 year absence from the Hopi reservation, he returned to his homeland and began working as a cancer educator. Over time, he became deeply involved in spiritual life in the community and is now a leader in kiva ceremonies. Lomahquahu believes that he and his fellow members of the Bears Ears Inter-Tribal Coalition have been called by a higher power to the mission of protecting ancestral lands.